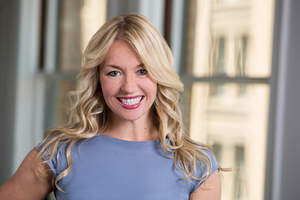 SAN FRANCISCO, CA and LONDON, UNITED KINGDOM--(Marketwired - Nov 30, 2017) - MOVE Guides, a technology leader that helps HR teams move their employees around the world, today announced its founder and CEO, Brynne Kennedy, has been named the winner of a Gold Stevie® Award for Women in Business. Kennedy won the top distinction in the Female Entrepreneur of the Year -- Business Products category. A passionate advocate for global and social mobility, Kennedy believes that open borders foster economic growth and position societies and companies for the future. She founded MOVE Guides in 2011 to power global business with the first cloud-based software platform designed for the growing mobile workforce. Industry leading companies rely on its Talent Mobility Cloud to deliver their global mobility programs across more than 190 countries with increased operational efficiencies, trusted compliance, and engaging employee experiences. Announced in New York City on November 17, The Stevie Awards for Women in Business are the world's top honors for female entrepreneurs, executives, employees and the organizations they run. The 2017 awards received entries from 25 nations and territories. Award winners were selected by more than 170 executives worldwide who participated in the judging process. "The judges were so impressed with the accomplishments of all of the Stevie Award-winning women and organizations. The 2017 Stevie Awards for Women in Business received a record number of nominations and had a record number of ceremony attendees," said Michael Gallagher, founder and president of the Stevie Awards. "We congratulate all of this year's Grand, Gold, Silver and Bronze Stevie Award winners for their achievements." Kennedy commented, "MOVE Guides is leveraging technology and services to transform how organizations manage the increasingly critical function of global talent mobility. Being recognized for our strategic involvement in defining and driving the future of work is extremely gratifying. I want to thank the judges, our clients, our team and our partners for contributing to this honor."